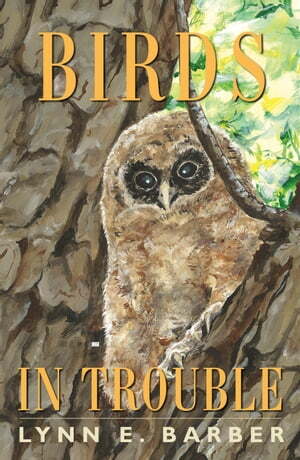 Collins Booksellers - Birds in Trouble by Lynn E. Barber, 9781623493608. Buy this book online. As oil was washing up on the shores of Louisiana, covering shorebirds and their nests and eggs after the Deepwater Horizon disaster, Lynn Barber decided to write this book to heighten awareness, not only of the plight of bird species that are declining in numbers every year, but also of the ways in which the birds we see every day may also face the same fate. First explaining the idea of birds “in trouble”—and what that means in terms of population, conservation status, and national and international designations—the book then turns to the habitats that are important to birds, how they are affected by changes in these habitats, and what ordinary people can do to help counter those negative effects. Barber then profiles forty-two species that are in trouble in the United States, discussing the likely reasons why and what, if anything, we can do to improve their situations. Illustrated throughout with the author’s signature bird art, the book closes with a reminder about what we can do to ensure that the birds we see every day in our yards, parks, and communities will remain with us.